I picked this up in the thrift store. Hardcover with separate jacket. I was drawn to it by the beautifully coloured jacket, yes! I did judge it by the cover, very much so. 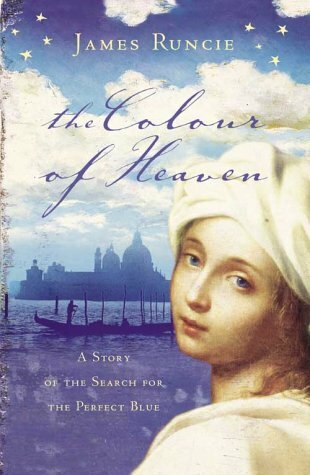 I guess the setting of 12th century Venice and the crafts of paint-making are historically accurate, but that is all the merit I can think of in this book, apart from the beautiful cover. The story itself I found rather dull. The location is a farm where the weary traveller can spend some time. We rented a cottage there for the weekend. Surely there must be a bookshelf. On second thoughts, I decided to find a new spot to release the book in the wild. I left the book on a table next to the newspapers. I did see somebody pick it up already!